today I thought I’d share with you some old books I’ve read in the past few months. These aren’t proper reviews, but more like a heads-ups of what wonderful books have been published in the past but whose fame hasn’t survived the centuries. They do deserve to be rediscovered though and I hope you will give them a read. 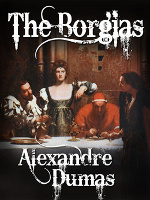 Part of the Celebrate Crimes series, the Borgias is one of Dumas’ lesser known works. That’s probably because, even though the book is well-written and engaging, it is not as good as his most famous novels. As the title suggests, it is an account of the Borgia family and the crimes they have committed during the reign of Alexander VI. However, it is sometimes difficult to separate facts from speculation, especially since Dumas himself seems to have believed all the rumours spread about this family. Despite its flaws, it’s a very interesting read. Nope, Alfred Trumble didn’t share a prison cell with the famous author. Instead, the book is about prison life in England at the time of Dickens. Trumble is a big fan of the novelist and, as prison life and crime feature prominently in his works, he decided to investigate and find out what things were actually like at the time. If you’ve ever wondered what life was like in Newgate, or how the Fleet Prison differed from the Marshalsea, then you should read this book. It’s written in an archaic but engaging style, is full of quotes from Dickens’ books and is very short, so it can easily be read in an afternoon. I’ve already posted an excerpt from this book here. Sarah Wallis Bowdich was married to a naturalist. She shared his love for nature and adventure and travelled around the world with him and their children. After his death, she married Mr Lee and wrote this accounts of her travels, in which she describes the places she’s seen, the people she’s encountered and the dangers she met (her ship even ran across pirates!). 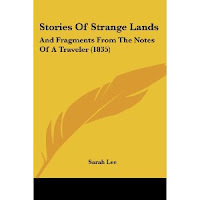 It’s a short book, easy to read and very interesting, especially because it is written by a woman who travelled the world at a time when women were supposed to stay at home taking care of their husbands and children only. Another travel memoir, this time written by author Mark Twain. He was sent by the newspaper he worked for on a trip around Europe and the Middle East. In this book, he writes with his usual wit, irony and criticism, about all the places he’s visited, the people he met and their habits, rituals and ways of life. He seems never to be pleased by anything, but instead than boring the reader, the result is very amusing. The only thing that took his breath away was Versailles although there is a good deal of irony in his description of this magnificent palace too. Overall, a very entertaining read that I highly recommend to everyone. I’ve already posted an excerpt from this book too. It is written by an Englishwoman who was in Germany when World War I broke out. Here she talks about what it is like for a person to be trapped in a country your own country is at war with and how the inhabitants, those people who until yesterday were your friends, now look at you with suspicion and turn their backs on you. It also makes you realise how hard for those people is to be able to leave the country and go back home. It’s a short book which flows easily, but it also emotional and full of details and insights at what happens to normal people when a war breaks out. Highly recommended.